Fight, jump and web-sling as Spider-Man as you take on a legion of sinister villains. As the beloved photojournalist webslinger, you'll freely explore New York's skyline, sewers, and hideouts to fulfill several missions. Use Spider-Man's superhuman strength and spidey-sense to fight such notorious foes as Scorpion, Venom, and Rhino. Spin Webs to disable and detain bosses and creep along the walls and ceilings. There is no wealth or fame at the end of this game, however; action is your reward. As Uncle Ben always said, with great power comes great responsibility. Game was in great condition along with the case and booklet. I finished the game in one sitting and friggin loved it! It's been years since I first played this game and I'm happy to have it in my gaming library again. Also, Venom is hilarious in this one. Once again lukie games does not let me down game came in great condition and fast. 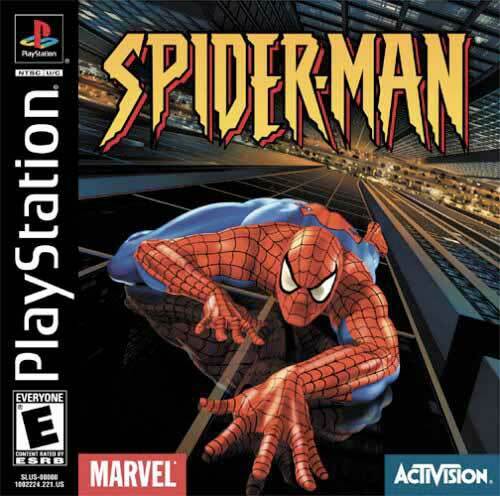 Awesome game great for any spidy fan a real gem definitely recommend. game is in fantastic condition, no scratches on back, and case not cracked. Came with all artwork including manual. My only problem is I was sent the greatest hits version, not the original. levels so big you think the game is a free roamer and boss battles with classic Villans including venom and that rhino guy this is for sure the best marvel game i have played.